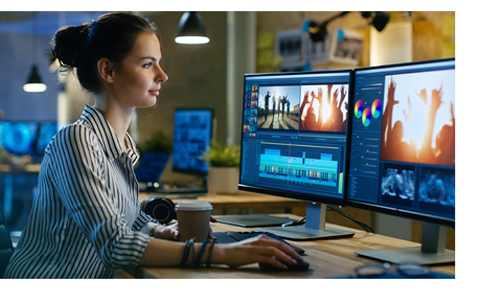 Boost your graphics-intensive applications’ performance and save time with Sonnet’s eGFX Breakaway Box 650 equipped with the AMD Radeon™ Pro WX 9100 graphics card, and transform your Thunderbolt™ 3 equipped MacBook Pro® or iMac® into a true graphics workstation! 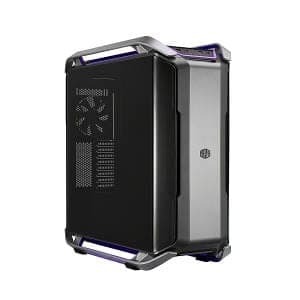 Many pro video and 3D rendering applications rely on workstation graphics (GPU) cards to do the heavy lifting. Unfortunately, most of today’s Mac® computers are equipped only with integrated graphics or low-power discrete GPUs that may cause performance bottlenecks when performing these tasks. Happily, for current MacBook Pro and iMac models there’s a simple path to greater performance—external GPUs (eGPUs). Through extensive engineering collaboration, a Radeon Pro WX 9100 installed in the Breakaway Box 650 eGPU chassis connects to the computer via a single cable, and works seamlessly with macOS®, with no need for manual driver installations or additional tweaking—it is a true plug-and-play professional graphics solution. 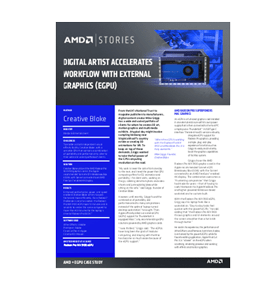 The eGFX Breakaway Box 650 + AMD Radeon Pro WX 9100 Performance Bundle delivers a significant graphics processing boost to popular video editing, visual effects, and modeling applications, cutting rendering times and enhancing VFX and color correction workflows. Supported applications’ task times can be cut significantly with one eGPU connected, and slashed when two, three, or four eGPUs are employed. 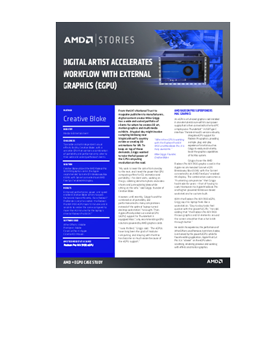 Connecting one or more eGPUs can multiply your computer’s graphics processing power, enabling it to handle 4K, 5K, 6K, and 8K workflows more efficiently. 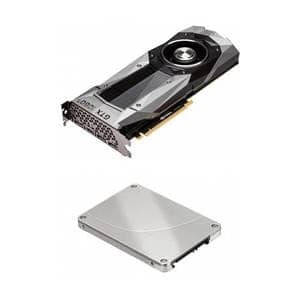 Plus, the onboard (discrete) GPU also contributes to the aggregate performance. 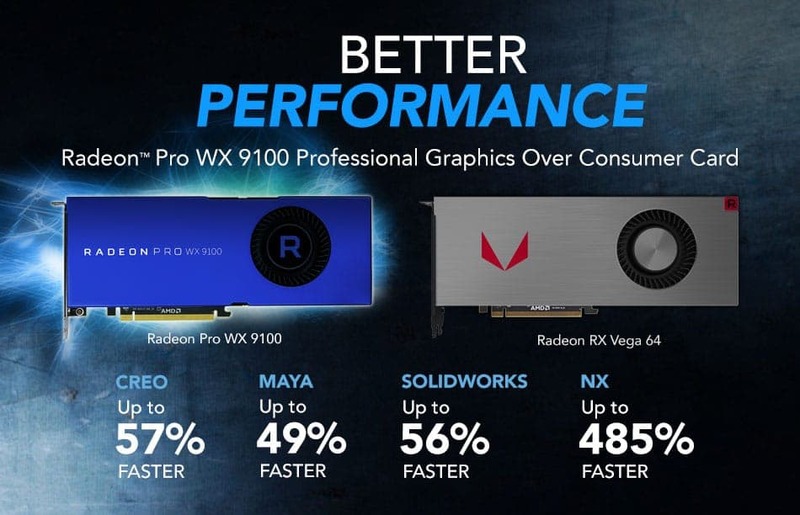 AMD designed the Radeon Pro WX 9100 workstation graphics card for stability and longevity, using only the highest quality components available. With 16GB of HBM2 memory (2x that of the Vega 64), this card supports higher memory workflows in rendering applications than consumer cards, while its native 10-bit color support significantly strengthens color grading work. Plus, with six mini DisplayPort 1.4 outputs onboard, the WX 9100 offers greater display flexibility than gaming cards. 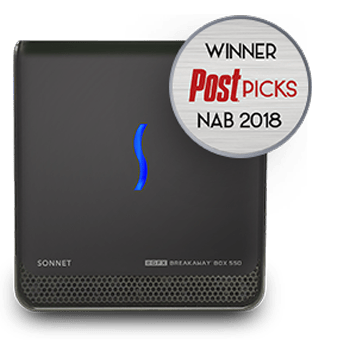 Sonnet’s award-winning eGFX Breakaway Box 650 Thunderbolt 3 to GPU card expansion system was designed and qualified specifically for large, power-hungry graphics (GPU) cards. 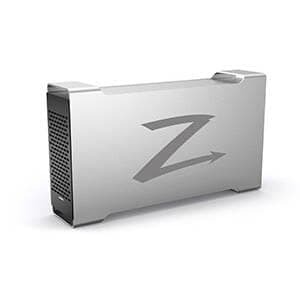 It is the only eGPU chassis recommended by Apple® and qualified by AMD to support the Radeon Pro WX 9100. 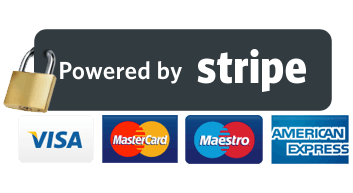 It is also the coolest and quietest install-your-own-card eGFX box on the market, with a built-in, variable-speed, temperature-controlled fan that quietly and effectively cools the installed card. It also provides 87W Power Delivery - to power and charge even a MacBook Pro 15”. Creative Bloke: Digital Artist Accelerates Workflow With External Graphics (eGPU) From the UK’s National Trust to magazine publishers to manufacturers, digital content creator Mike Griggs has a wide and varied portfolio of clients for whom he creates 3D art, motion graphics and multimedia exhibits. To keep on top of these demands, Griggs wanted to take the full power of the GPU computing revolution on the road. 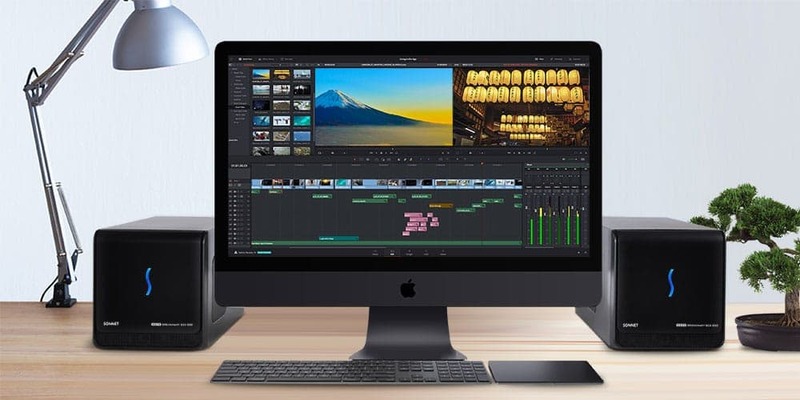 9to5Mac tested dual eGPUs with the latest MacBook Pro 13-inch, revealing dramatic improvements in performance, and gaining the ability to run multiple instances of an application at the same time! Testing an AMD WX 9100 eGPU with the 15-inch i9 MacBook Pro AppleInsider takes a look at the AMD Radeon Pro WX 9100 GPU workstation card, inside a Sonnet eGFX 650 Breakaway Box and discovers amazing performance gains. WX 9100 Performance Bundle at a special discounted price (terms and limits apply).